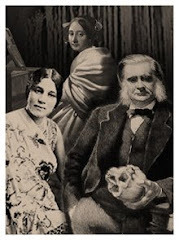 The Secret Science Club: The Secret Science Club hosts the Imagine Science Film Festival and A NIGHT OF AVANT-GARDE FILMS @ the Bell House, Mon, Oct 18, 8pm FREE! 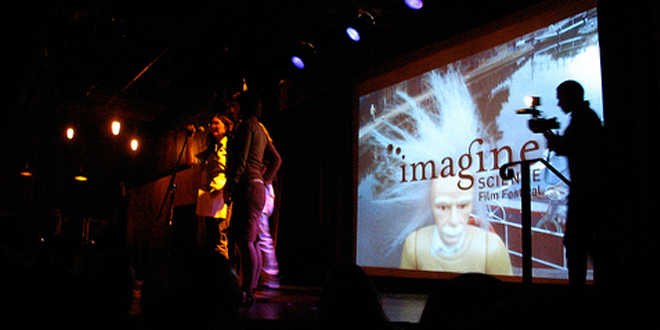 The Secret Science Club hosts the Imagine Science Film Festival and A NIGHT OF AVANT-GARDE FILMS @ the Bell House, Mon, Oct 18, 8pm FREE! SPECIAL EVENT: The Secret Science Club is teaming up with the Imagine Science Film Festival to present a selection of science-inspired short films, plus “Dance Your Ph.D.” and live music by neuroscientist rockers, the Amygdaloids, and Balún. Techno noir. Music Video. Animation. Don’t miss some of the festival’s quirkiest and coolest entries, featuring subjects like murder and meteorites, particles and prescription drugs, and the dark nature of fear. Check out the following films from the USA, Australia, France, Thailand, Canada, Portugal, and the Future: Mind Over Matter, Velvet Cell, Origin of Mass, Breu, Skhizein, and more! Where: The Bell House, 149 7th St. (between 2nd and 3rd avenues) in Gowanus, Brooklyn. FREE! Just bring your smart self. Doors open at 7:30 PM. 21 and over. The Imagine Science Film Festival runs from October 15 to 22 at a whole host of venues around the city. Visit here for a complete listing of events.